It is absolutely true that one should not take cybesecurity lightly. 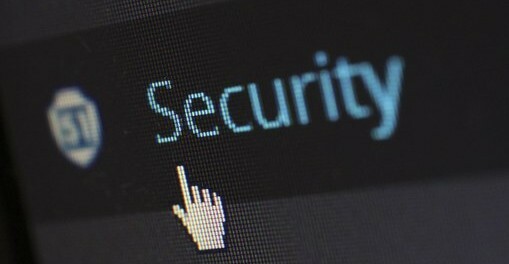 No matter if you have a website or any kind of online-based infrastructure (such as online accounts), it is important to protect the same from the attacks of cyber criminals. Even though the cases of cyber attacks we come cross are mostly related to the high-profile companies, government website, and banks, but even small businesses can get into the trap of the cyber criminals. Most of the small businesses would usually find it tough to protect their websites and online accounts from the cyber attacks. Fortunately, there are some cyber security solutions available which one can avail in order to protect his/her business. Implementation of these solutions will also help you make your business better than before. So, let us take a look at some of the best data migration solutions available. If you are looking for an affordable security solution then Comodo is the right option for you. This award-winning cyber security solution provider has become popular in the entire world. It is an excellent choice because it is free and highly affordable. The reliable and feature-rich security tools of Comodo can provide your business the much needed protection. The presence of RMM or Remote Monitoring and Management in this solution is one of its major USPs. Service Desk and Patch Management are the other two features to look for. The package also provides Comodo Securebox, which is quite helpful in protecting the applications from malware-infected devices. On the other hand, the presence of Comodo Advanced Endpoint averts malware from getting into the networks. Once you empower your business with Comodo, you will not have to worry about the cyber attacks. In case you are searching for a single solution which can cover almost all your areas then ESET is the right choice for you. This service provider allows you to select from a wide array of security packages, which are aimed at protecting your computers, USD drives, mobile devices, servers, and networks. The small business security package from ESET protects both Mac and Windows computers. Plus, it also protects Android phones and iPhones. The availability of customized tools makes the whole package even more effective. You can select according to product type, industry, and company size. Some of the options which can be added using customization are- mobile security, two-factor authentication, remote management, endpoint security, file security, encryption, email security, etc. Without any doubt, cloud computing and virtualization offer a lot of gifts; such as- the ability to get access to your desktop and its files anytime, from anywhere. All you need is a device to access the same. However, the security issues cannot be ignored here. It can complicate the ease of accessibility. In this regard, Cradlepoint NetCloud Engine can provide you the much needed solution to your business. It will help you feel relaxed by providing multiple layers of security to your desktop and its files. Multifactor authentication will be required once you empower your business with this solution. Some of the main features of this cybersecurity solution are- access policies, completely hidden private addresses, end-to-end encryption, micro-segmentation, data centre protection, etc. Gone are the days when only computers were within the radar of the cyber criminals. Nowadays, even the mobile devices are at risk of online security breach. Tablets and mobile phones hold a lot of vital and confidential information. In this regard, Lookout Mobile Security can provide your mobile devices the much needed protection from data leakages, malware, etc. It also protects your device from getting jailbroken. So, if you do not want to put the data of your business at risk, go for the best cyber security solution. There is no dearth of cyber security solutions that are aimed at protecting the large companies and enterprises. But, you do not have to feel worried if your business is of small scale. You can opt for the solution provided by Symantec. It provides comprehensive security solutions which are designed for the small businesses. If your budget is small, you can still go for this solution. It offers features like firewall, data-loss prevention, anti-spyware, antivirus, automated backups, privacy protection, and email scanning. Another great solution to protect your website and online accounts from cyber attacks, and it is quite affordable too. CloudFlare analyzes each and every visitor quite closely; assessing aspects like IP addresses, reputations, etc. To protect the database of your business, CloudFlare is quite effective. 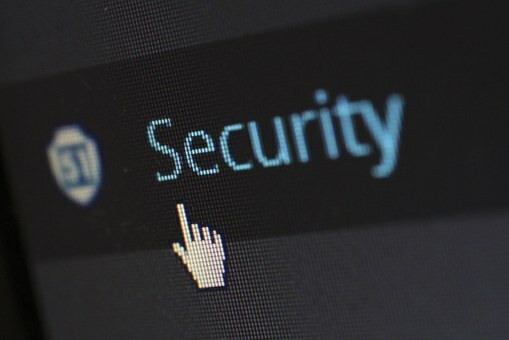 It is highly important to make your computer’s web browser safe and secure. In this regard, you should definitely go for this solution. HTTPS Everywhere provides unmatchable protection to your web browser. So, those were the seven solutions you can go for. These solutions can surely add more safety and security to your business. Plus, going through ceh training can provide you much more idea about these things.